Can you feel that? 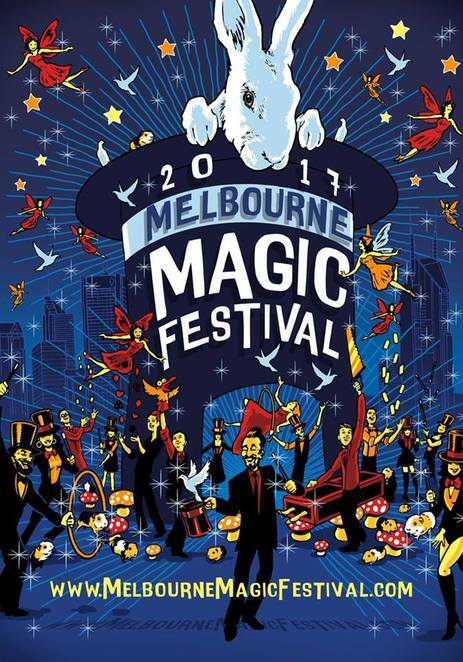 The bewitching time is nearly upon us as the Tenth Annual Melbourne Magic Festival apparates into the city for a spellbinding thirteen days and nights of magical performances. With the festival now officially recognised as the largest of its kind in the Southern Hemisphere, this year's line-up is attracting more magicians and magic fans than ever before. As part of the magical event of the decade, Northcote Town Hall (the festival's home) will play host to over 300 performances of 65 different shows. In addition to the over sixty Australian magicians involved, special international guests will include the Joshua Jay (USA), Hong Kong's John Fung, South Korea's E G Lee (Eun Gyeol Lee), and 'greatest card magician in the world' Dani Da Ortiz (Spain). From July 3 - 15th, MMF will take audiences to the extreme end of visual theatre with performances, special events, lectures, workshops, master classes, and more by magicians, comedians, mentalists, illusionists, and hypnotists. More information on MMF ticketing and packages can be found on the official festival website. They can be booked online by selecting the show's title on each page, or by calling the box office at the number below. Northcote Town Hall is disabled and wheelchair accessible venue. The two-shows-only Kid's Magic Gala will magically combine multiple magicians shows into one - as well as fewer dollars disappearing from Mum and Dad's wallets. 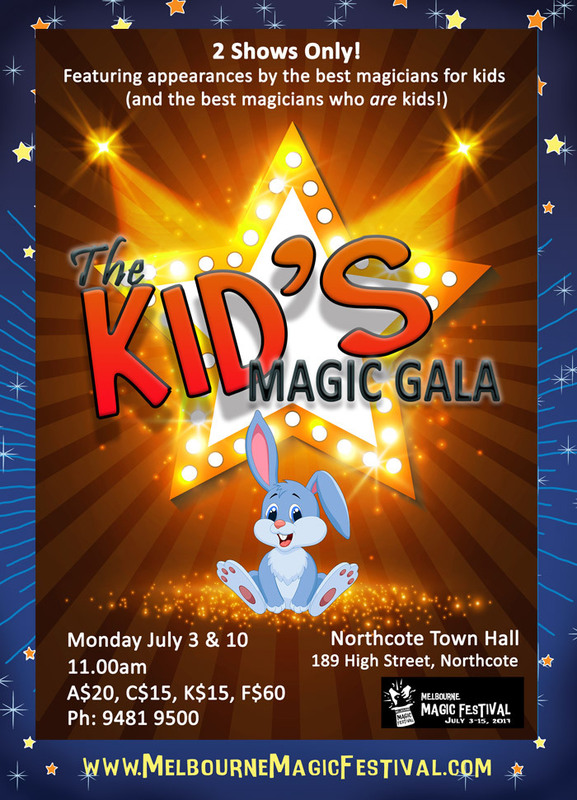 The Gala will feature snippets of shows by the top performers in this category, including Fairy Lee (The Fairy Magic Show), Tricky Nick (Tricky Nick is a Super Bad Guy), and Domino the Magician (Learn to Fly with Domino). Also along for the ride will be a line-up of young, up and coming magicians, determined to put the professionals to the test. When: Monday, 3rd & Monday 10th July from 11:00 am. Runtime: 55 - 60 minutes. 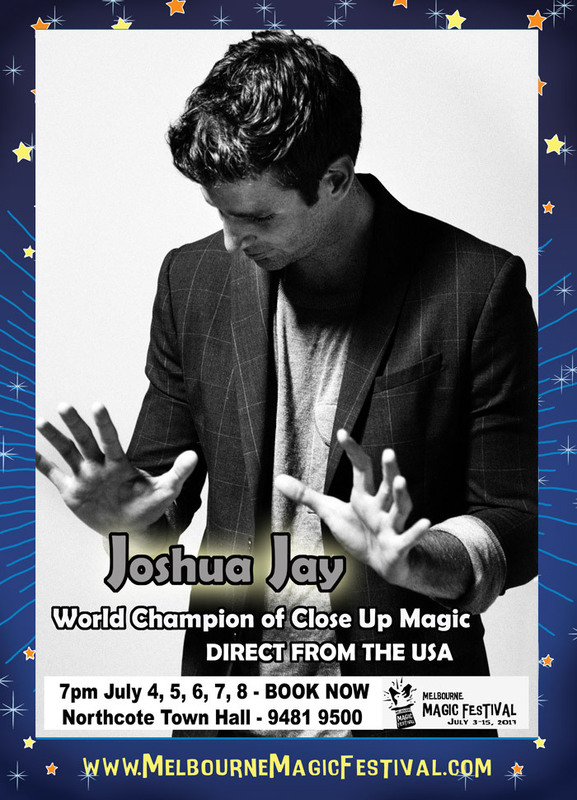 Joshua Jay: World Champion of Close-up Magic at Las Vegas' World Magic Seminar and one of magic's most revered creators; having performed in over 60 countries, this year Joshua brings his unique brand of close-up, sleight-of-hand to Australia for the first time in eleven years. 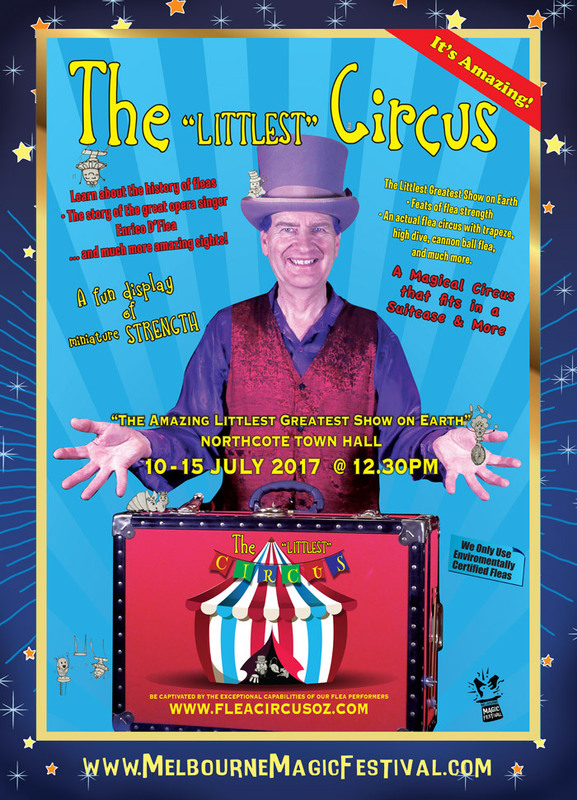 A fine evening's entertainment for ages 9 to 99 and over, Joshua Jay The Show promises to be unlike anything audiences have seen before. Featuring the routine that set the Guinness World Record for Card Tricks, as well as the famed and acclaimed acts that have made him a household name in his native New York and made him the performer of choice at exclusive events like parties for Google, Yahoo, and even the President's Inaugural Ball. Joshua Jay - The Lecture will be held as a one-off on Saturday 8th July. Joshua's lecture will focus on parlour magic and close-up magic with impact and every attendee will walk away with a broader, deeper knowledge of this style of performance. When: Tuesday, 4th - Saturday 8th July from 7:00 pm. Cost: Ad $36, Conc. $31, K $31, F $95, G $32, LG $30. All tickets for Tuesday 4th July = $30. Have you EVER EVER Heard? One of Melbourne's best young magicians, David Chandler has been hooked on magic since just eight years of age. Not only has he studied, practised and performed magic ever since, David went on to win the Australian Junior Championship of Stage Magic in 2012. David's first show at the Melbourne Magic Festival, Once Upon a Rhyme, close to sold-out its run in 2015 and there's little doubt he's headed to top that record with his brand-new show. In a world where Fairy Tales and Nursery Rhymes are real, anything can happen! In Have You EVER EVER Heard, meet The Storyteller, for what is sure to be just another (extra) ordinary day. . . He's waiting for an important parcel in his enchanted mailbox. What could the parcel be? And who sent it? The Grand Duke of York? The eldest Little Pig? The musician Aiken Drum? A Giant from Cloud Country? An egg called Humpty P. Dumpty? A Godmother with Fairy-like qualities? His Great Aunt Winifred? And where's all that music coming from? Find out for yourselves - during a musical, magical and mayhem-filled adventure, where the tales come true and the rhymes come to life! When: Monday, 10th - Saturday, 15th July from 2:00 pm. Cost: A$20, C$18, K$18, F$65, G$18. All Tix $12 for July 11. Catch The Reading Bug is a hilarious puppet show designed to inspire and delight children and teachers alike. Using the magic of ventriloquism and plenty of audience participation, comedian Sarah Jones creates an experience that engages and encourages young readers. Sarah's in-demand shows at primary schools, cruise ships, corporate events, and comedy clubs are a testament to her and her puppets' ability to put even the shyest of children at ease. 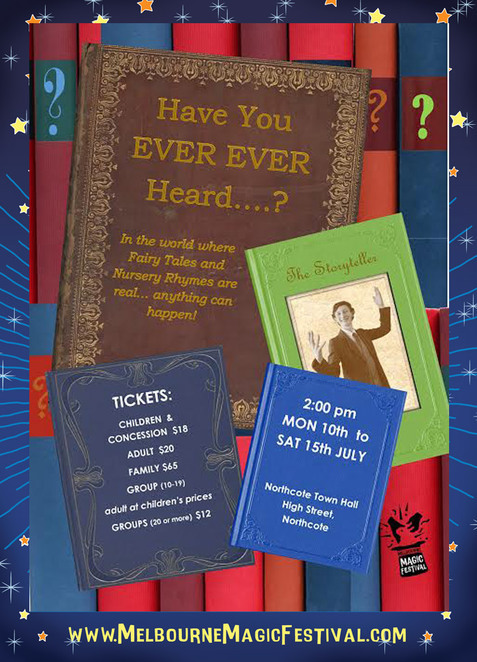 As children are introduced to new and familiar books, her puppets perform magic tricks, sing songs, draw pictures and show off all sorts of ridiculous talents. 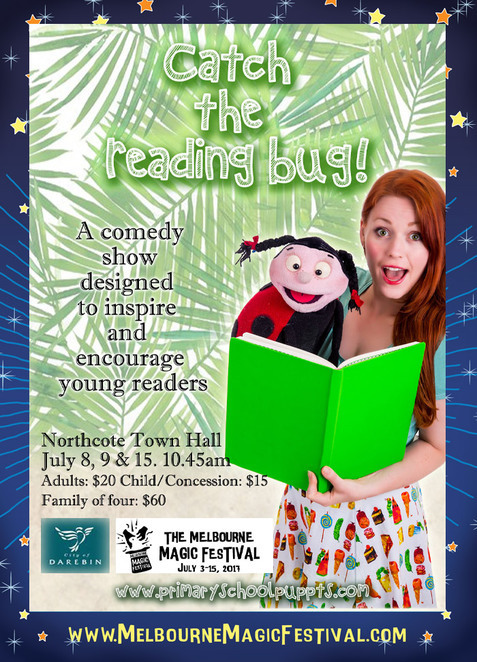 The show is chock full of fun facts and educational messages, along with relatable comedy for all ages (like mum sneaking vegetables into meals) and a great way to give back, with $1 from each ticket sold going to the Australian Literacy and Numeracy Foundation. When: Saturday, 8th, Sunday, 9th, and Saturday, 15th July from 10:45 am. Be there to help one of Melbourne's most mind-bending magicians create amazing feats of magic. 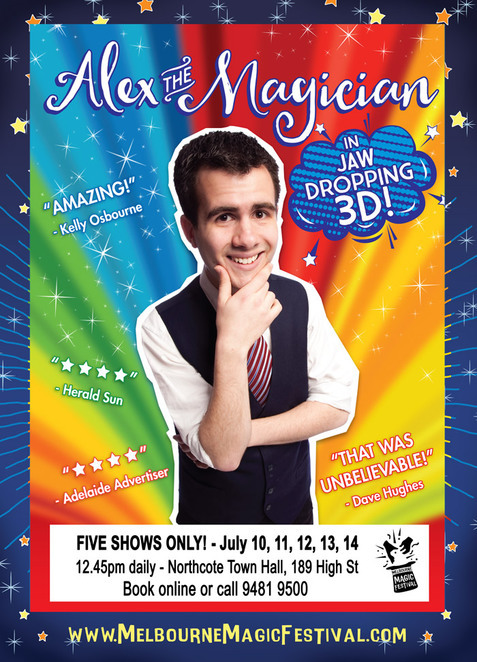 You may recognise Alex the Magician from his 2D appearances on TV shows such as Stand and Deliver, Totally Wild, the Today Show and the Morning Show. Alex was a grand finalist on Australia's Got Talent last year (as part of Gentlemen of Deceit), and he is also a regular guest on Kids' WB on Channel GO. Catch him live at the festival to see his magic in jaw-dropping 3D! As former President of the Sydney Ring of the International Brotherhood of Magicians, you could say Ringmaster Rob definitely knows the ins and outs of all things magic. So when he invites you to hear his star performer Enrico D'flea sing opera, or watch his trained flea-troupe perform in a circus - yeah, I'd pay to see that. The audience will be shown a short video of the history of fleas, their possible interaction with ancient Egyptians and how events such as the fall of the Roman Empire may have been caused by the humble flea, before watching in awe as the circus comes alive, with traditional-style acts like high wire, trapeze, high dive, flea-cannon ball, feats of miniature strength and agility, and much more. When: Monday, 10th - Saturday, 15th July from 12:30 pm. Cost: $0 - $60. $12 Tuesday's.